My studio is buzzing with busy work and creating anxiously to fill the shelves in my new Little Pink Boutique. Visit HERE to browse my boutique. Many more pretties are on the way there and as always, my etsy shoppe too. After sourcing many areas that promote women in business through networking and advertising, Make Mine Pink was my direction. I hope you can stop by, browse my boutique and the many other talented ladies that share their treasures there. 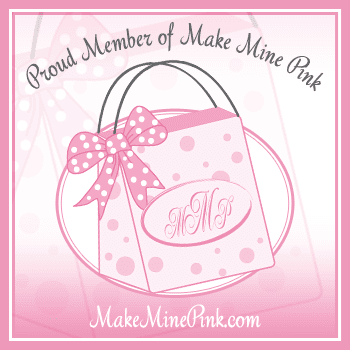 When going to the home page, you can find my boutique by clicking on the icon roof, Little Pink Boutiques. You will see Celestina Marie Designs in the listing which will take you to my site. Here are a few items already gracing the shelves. It's back to the studio for me and back to the creating I love so much. Last Sunday my BG (best guy) and I went afternoon treasure hunting and I found lots of new treasures ready to redesign and send to etsy and MMP. So many of you have followed my journey in ways that are simply a true blessing to me and for that, I am very thankful and I can't tell you enough what a joy you are to me and how much I appreciate your encouraging words over the years. Anyone who creates in business has ups and downs, but the many emails and cards I have received over the years have meant the world to me and keep me inspired. I save each and every communication of encouragement and have filled scrapbooks full. Thank you so very much and love to you all!